NV5 provided civil and structural engineering for this $62-million project that consists of a new, full-service, three-story, 117,000-square-foot facility designed for future vertical expansion. The Central Campus Hospital includes 50 private inpatient medical-surgical beds, an emergency department, surgical services, imaging, dietary, cardiopulmonary, and all administration and support areas. The building is designed to include two additional floors for a total of approximately 270,000 square feet and a total of 150 beds. 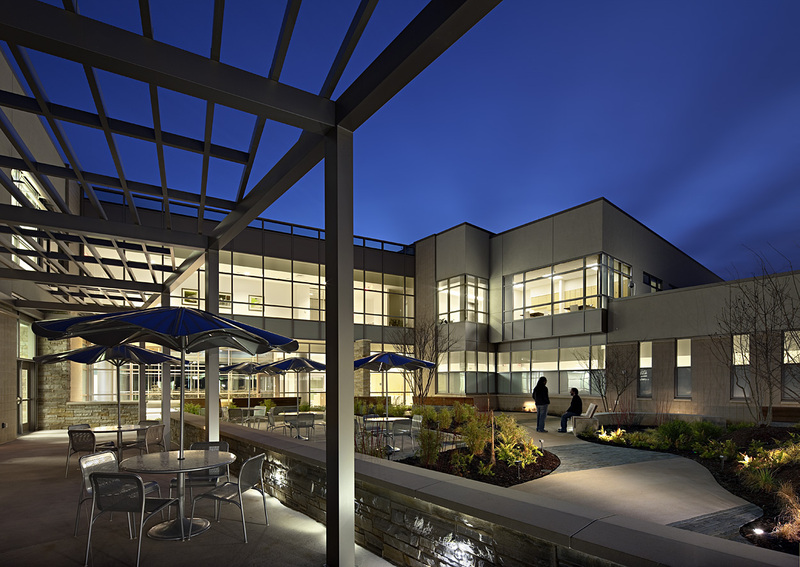 The hospital is a low impact development sitting on 20 acres within the newly developed Brightwater Campus in Lillington, North Carolina. A separate 5,000-square-foot central energy plant is also included in this project, designed for horizontal expansion to accommodate the future vertical floors. Sustainable design and features were used throughout. Notable civil engineering features include a wet pond and a constructed wetland for storm water capture and treatment. An underground cistern is used to store storm water for irrigation. The structure is composite steel construction with steel moment frames for lateral resistance.